Wouldn’t you love to delete that old program in your head that keeps saying big things aren’t for the likes of you? Guess what? It’s possible to reinstall some new software in your brain, and to rewire those neural pathways no matter what your age or circumstances. You—yes YOU—are capable of reinventing yourself and reinventing your life. It’s time to kick the thought “It’s too late” to the curb, to chase those dreams that are digging a hole in your soul! Hi, I’m Sarah. I’m on a mission to unleash the creative power of women at midlife and beyond. To connect us all with our Divine Feminine Essence. From this place of connection, anything becomes possible! 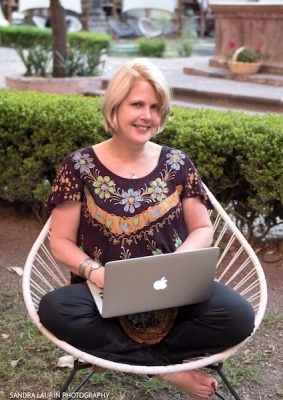 I am a certified Martha Beck Life Coach, and I work with a variety of life coaching skills and tools, including Law of Attraction, EFT Tapping and Matrix Reimprinting. 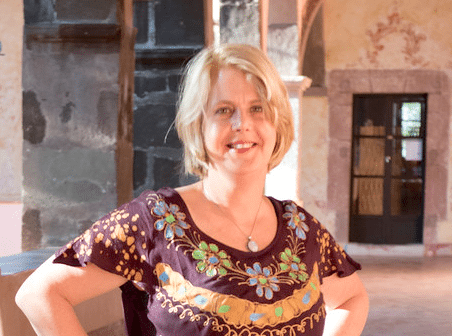 I’ve worked in the healing arts and personal development field for more than three decades, and I’m a self-taught entrepreneur. I help smart, soulful and creative women to drop their fears of aging and reconnect with what they came here to do. To unleash their own original magic. Call me a Dream Resuscitator, your midwife to help you bring forth that thing that wants to be born. Change and transformation IS possible! I’m here to prove it. 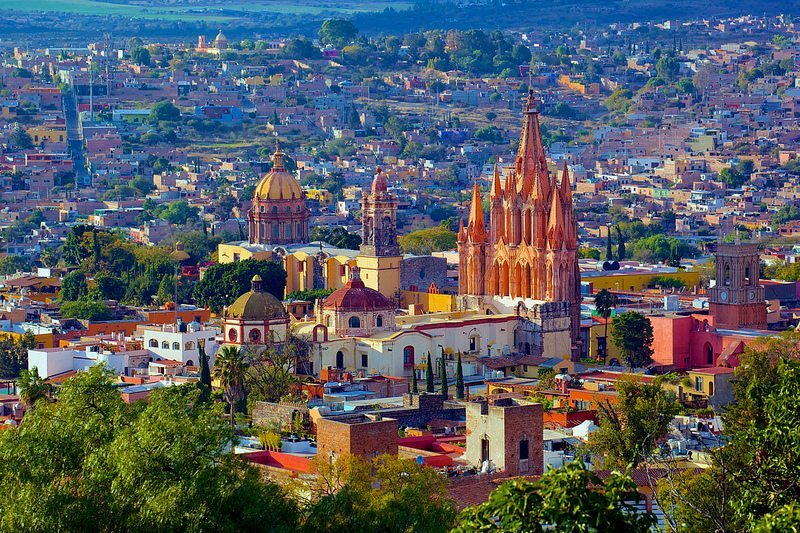 Right now I live in San Miguel de Allende, a beautiful world heritage city tucked into the central highlands of Mexico. 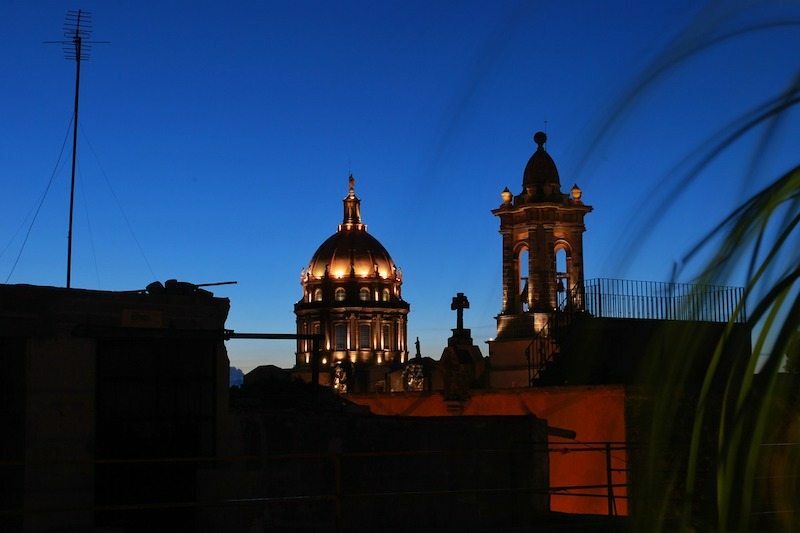 A few short years ago, I’d never have believed it possible I could actually live here— learning a new language, enjoying private salsa dance lessons, surrounded by culture, color, new friends, ….That sort of life seemed like a faraway dream. And yet—here I am! Living proof that anything is possible even—and especially—in the second half of life! I felt so comfortable working with Sarah! I need to develop great trust in someone in order to open up completely, and it was easy with her. Sarah was completely accepting of me and where I was in this reinvention of myself. I am proud that I was able to face and release two very large fears/blocks that were getting in the way of my forward movement. I now feel greater confidence in assessing and releasing blocks that occur for me, by using the tools that Sarah taught me. The coaching relationship felt safe, trusting, and personal. I left each session with many takeaways, which I am continuing to use as I move forward in creating my own business. Liking the sound of this so far? See, all of this Awakening to your truth stuff doesn’t have to be solemn and serious! 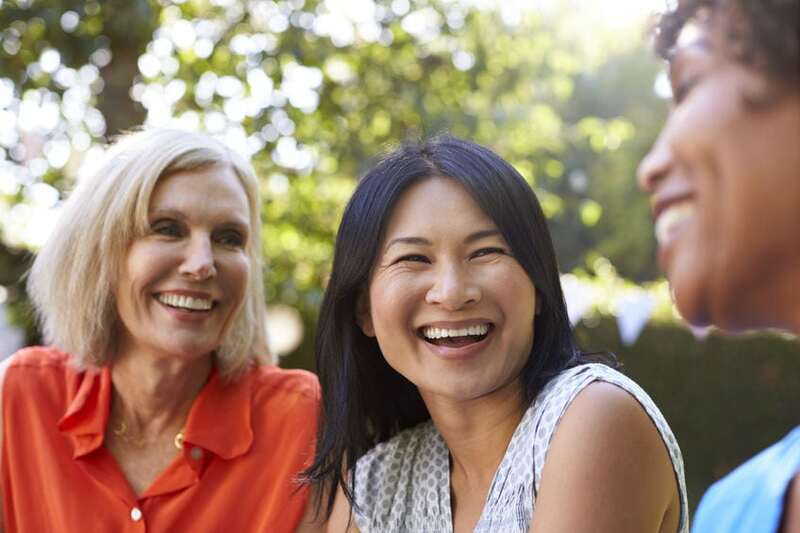 One of my core values is FUN… and here I live my life, and practice my coaching, with an intention of finding the joy and fun available to me and to all of us during this transitional phase of life. I have reinvented myself more than once since turning 40! I had some big ideas of how this would all work. What you are reading here on this website is the latest iteration of my creative response to what I am called to do in the world. My vision was to create a resource for women who are struggling with menopause and the emotional angst around growing older in our youth-worshipping culture. 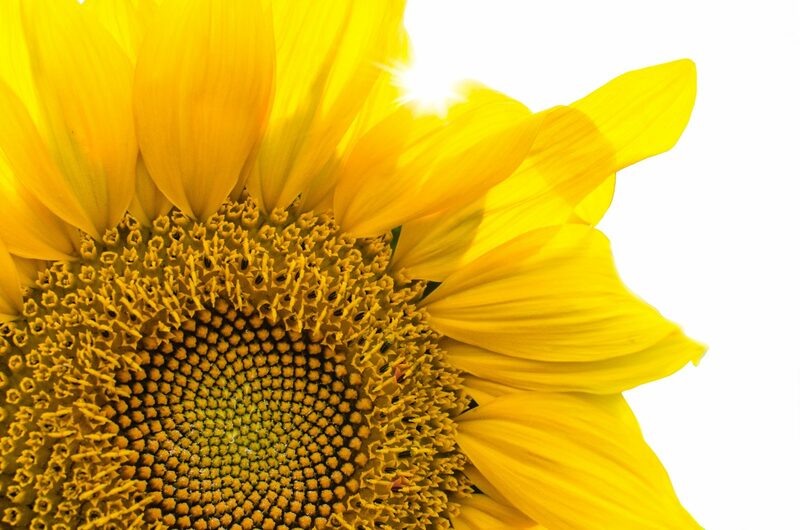 At the time I was riding the tidal wave of menopause and feeling the primal power surge of energy that brought. Physically, emotionally, spiritually. But… there was more going on. See, as I woke in the night kicking off those sweaty sheets, I kept getting the feeling something was off. Have you ever had a niggling sensation that you’re hiding from some essential truth? I had a good life, nothing really wrong. Except deep in my heart I knew I wasn’t being true to who I truly am. I had no idea what to this meant. I was scared to death to imagine leaving the comfortable existence I had so carefully cultivated. I’d left my troubled childhood behind, and now I had plentiful friends, a nice home, a well-meaning husband, respect in my community. All that was about to change. The Universe was calling me to a serious life reinvention. This wasn’t my first rodeo with finding the courage to take a big leap. In my early 40s, I’d argued mightily with the Universe when I began getting the messages it was time to leave my career as owner of a successful shop and healing center. In fact, I had to get hit on the head with the proverbial 2X4 to take THAT leap. Once I did I never looked back. Years later, soon after turning 50, as I hiked alone in an ancient forest, my mind yammered away with the same old, same old…when I suddenly found myself on my knees in tears. For the first time in my life I heard the voice of my guidance loud and clear! No matter how much I argued or came up with excuses, there it was. As the tears flowed, I suddenly knew that I was to take a huge leap into the unknown. In a few short weeks I’d packed up whatever possessions would fit in my little car and moved to another state, leaving a 22-year marriage and many deep connections. I wish I could say it was all smooth sailing after that. But, umm no. Not exactly. I left a tiny, though progressive, rural community in the redwoods where everyone knew me and moved to a large, city—Portland, Oregon—where I knew barely anyone. With my meager savings, I rented ‘daylight’ basement room, where I set up shop for my new digital business. I spent my 51st birthday sitting in a restaurant alone, toasting myself. In the months that followed I went through many boxes of tissues. Waking at 3 am, feeling like I was jumping out of my skin, after dreaming of my grown daughters being little girls again…and then realizing that actually I was all alone in a strange bed with my regrets. I emerged seemingly unscathed from life-threatening car accident, only to discover a month later that my body had been seriously compromised. My 30-year exercise habit came to screeching halt. As my savings dwindled I kept up a good face, but things weren’t looking good. Slowly, I began to open, soften. I began my deep dive down what I jokingly call the ‘woo-woo rabbit hole’, opening my channels to the divine guidance that I’d been too busy and preoccupied to listen to previously. Through synchronicity after synchronicity I met the people who were to guide me to my next step, and then the next. Although only a few short years before I would have rolled my eyes at the term ‘life coach’, I became obsessed with becoming a life coach. I had spent a couple of decades of my early adulthood owning and operating Moonrise Herbs, an herb shop that doubled as a community healing center and spiritual bookstore. I still loved natural remedies, but now I wanted to dive underneath. To find out why these remedies just didn’t work for some people, and why even when a person had the best intentions, they just wouldn’t (or couldn’t) follow a healing protocol with herbs and diet. I realized I felt way more passion about exploring and understanding the emotional underpinnings of the pain and discomfort of menopause. Although I will always love (and utilize) the world of plants and herbs, personal and spiritual growth became far more compelling, and became central to my coaching practice. After a lifetime of living almost exclusively in my head I began to listen to my heart. Instead of losing myself in analysis about every little step, I began following breadcrumbs. One of those breadcrumbs was an opportunity to spend several months in Mexico. A chance to achieve a long-held dream of living abroad for an extended period of time. That led to more breadcrumbs. It was time to lighten up some more! 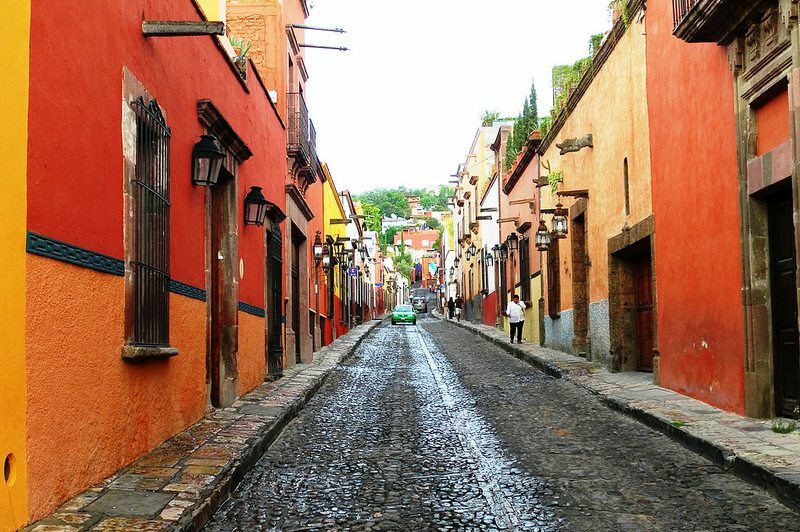 After four months in the central highlands of Mexico, I went back to Portland, sold most of my (now already meager) belongings, and moved here to San Miguel de Allende. Now I’m teaching workshops and coaching fascinating expats from all walks of life. Every day I see people I would never have met had I stayed in my safe and comfortable little world in the redwoods. I’ve connected with ‘soul sisters’ who will be friends for life. Then, one evening, about a year after landing here, my eyes met the blue eyes of a tall stranger. I didn’t know it yet, but I was about to embark on a romance and partnership that has brought so much joy and so much new growth. And the adventure continues to unfold. Let’s get started on reinventing YOUR life in your second half! Are you ready to explore the possibilities that are waiting inside of you? 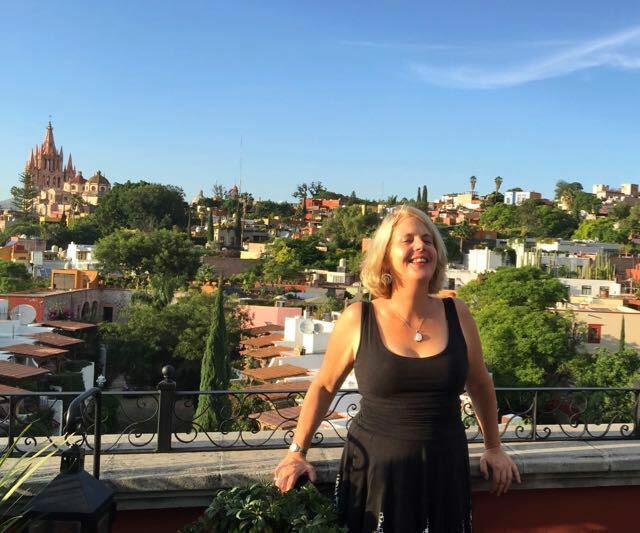 I offer 1-on-1 coaching via phone, Skype, or Zoom, as well as in person here in San Miguel de Allende. Here’s where you can learn more about my coaching style and how it works. You can book a free 20-minute consult, and ask me all your questions. Only you can offer the world your particular brilliance, your radiance. Ready for some Life Reinvention Inspiration? Why not sign up for email updates? You'll get tips and stories, plus a free copy of my E-book, Pathway to Radiance—Self Care Stories and Strategies from 50 Empowered Women!